C.R.A.F.T. 's in my house - C.R.A.F.T. I’ve always loved pictures, but with Maxwell, I’ve become obsessed. Like, we can’t take enough pictures. Ever. I have thousands of him sleeping. Seriously. And thousands more of him smiling and sitting and jut looking so stinkin’ cute. So, when Laura Morsman asked if I would like to do an ACL style photo session with her, I was thrilled! Pictures of the 3 of us, yes please! For those of you who are not in Austin, ACL stands for Austin City Limits. It’s a huge music festival that takes over my cute little city for 2 weekends each year. Laura had no rules for the session, she just asked that we pretend like we are getting ready to go to ACL. What would we wear? Who would I go with? What do we love about Austin? The session was simple, cozy, and natural. Laura rocks. She makes picture taking easy. You know, chit chats, and makes you feel like she is not taking pictures of you. Like this one below, of the lamp. I love it. Me and my Max baby just walking by the window, and bam! Amazing picture that I did not even know what being taken. Love. For more pictures of the 3 of us and to read my interview, check out Laura’s blog post. Below, I’m sharing pictures she took of C.R.A.F.T.’s in my home. It was such a fun shoot to do because there were no rules or expectations, just my sweet fam and Laura hanging out on a Saturday afternoon. 1. 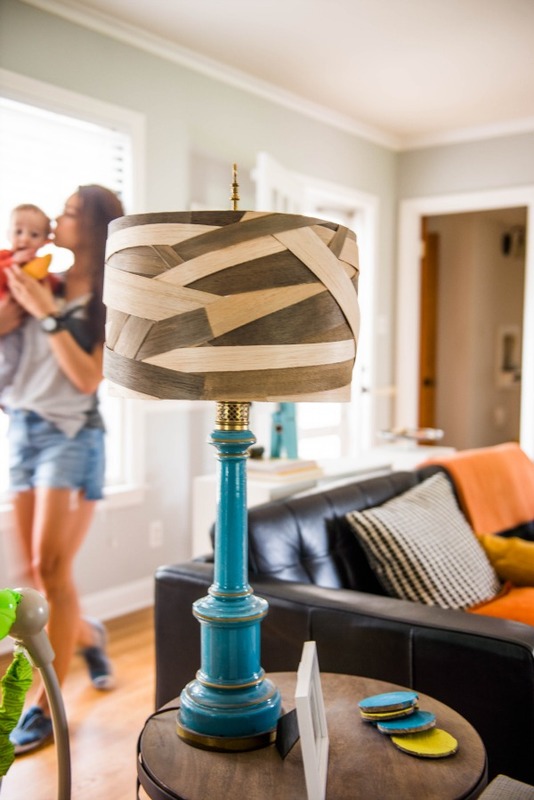 Balsa wood lampshade: I rescued the blue lamp from the dumpster when we lived in Florida! 2. Wood sliced coasters: I also made those for our living room in Flordia. I love how they look, but they do stick to the bottom of sweaty glasses. 3. Painted shoes: Still love these things. I wear them even more with Maxwell since they are so easy to slip on. 4. 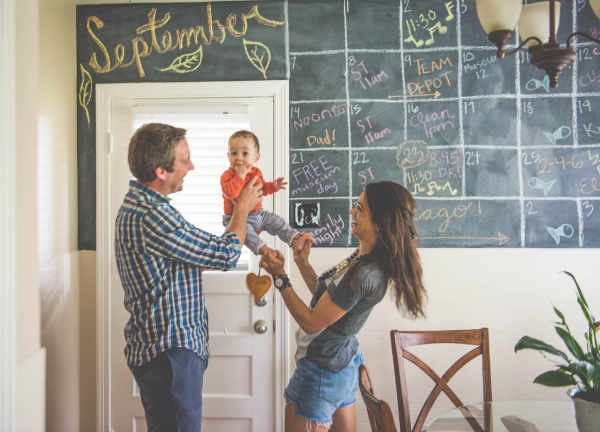 Chalkboard calendar: And this might be my very favorite picture Laura took of the 3 of us! 5. Embroider burlap: This is such an easy craft, and it makes me happy every time I see it. 6. 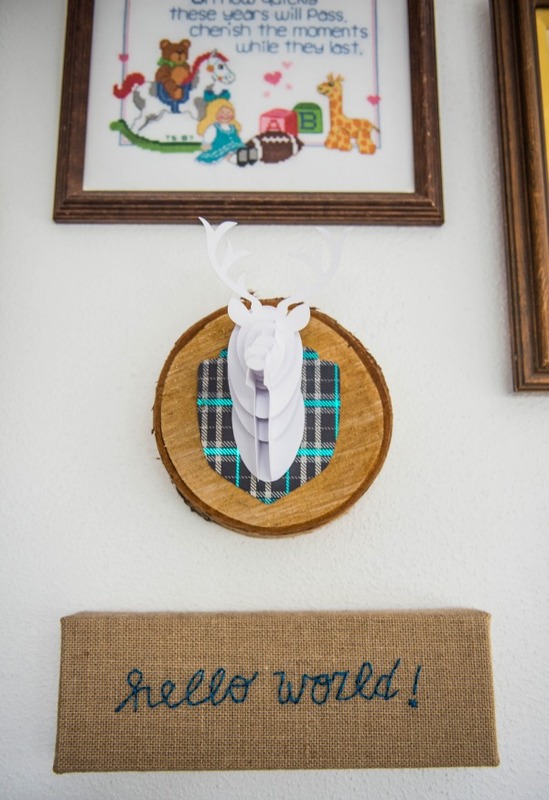 Cricut Explore paper deer head: So cute and I made it at the Cricut Explore product launch! 7. 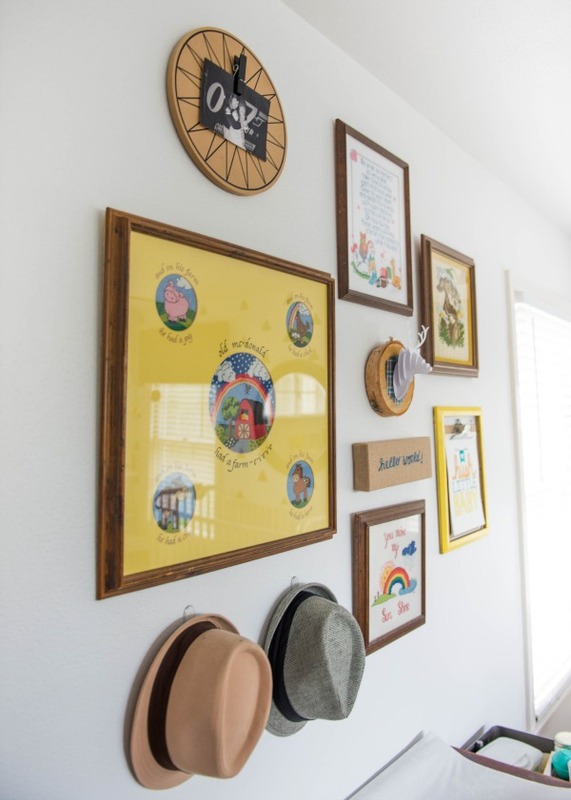 Nursery gallery wall: I love all of my mama’s cross stitches! 8. Hush little baby free printable: Vanessa sent me a water color of the free printable she made in honor of Maxwell, how sweet is that!? 9. 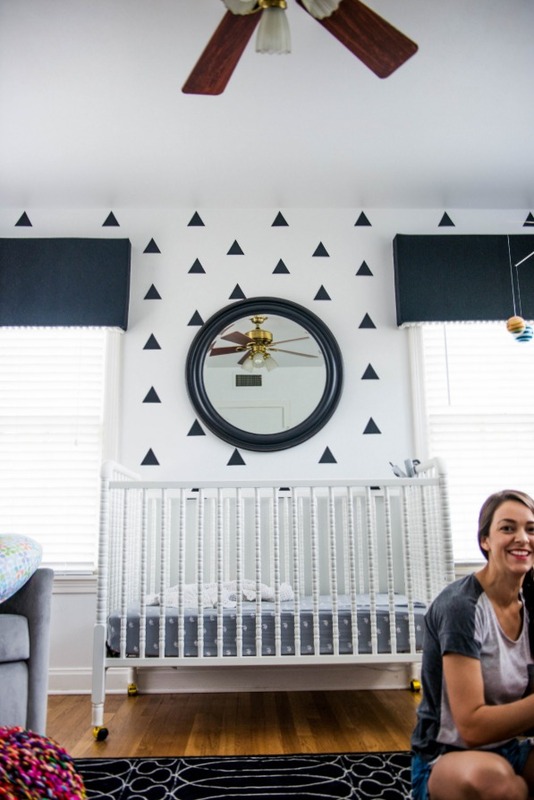 Gender neutral nursery: I still really love his black and white nursery! 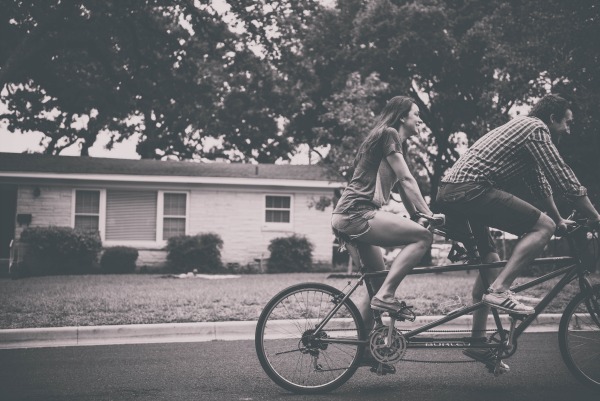 And Laura took these pictures of us on our tandem bike, this balck and white makes me happy! There are so many more great pictures. I’m in the process of trying to decide which ones to blow up and where to hang them! I have so many amazing pictures on my devices, I feel like it is sad that I don’t print more out! 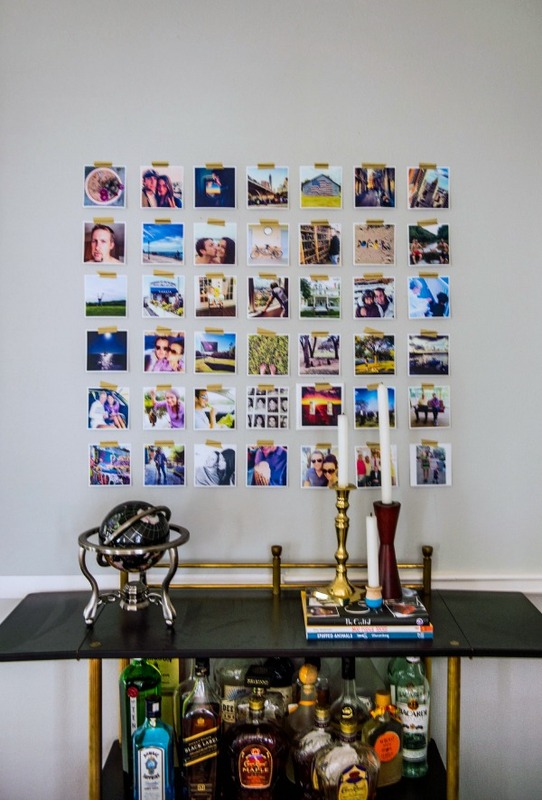 When is the last time you printed out a real picture? Had pictures taken of your family? Been to a music festival? Thank you, Laura! I love them all. Truly!